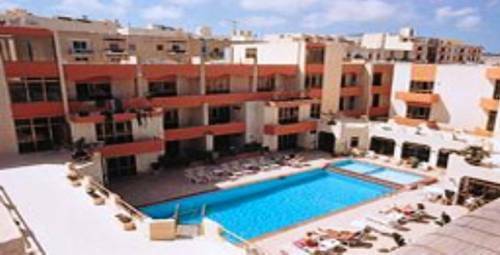 Clover Holiday Complex Qawra, Hotel Malta. Limited Time Offer! The private garden is excellent for taking a little stroll. The apart-hotel offers its guests the luxury of both an outdoor and indoor pool. Visitors will appreciate the British and Mediterranean specialties of the onsite restaurant. After a good night's sleep, you can have an English, continental breakfast.